Standing in front of thousands of people, I felt the excitement of Olympic competition pulsing through the jammed-packed stadium around me. Not only were the athletes excited to get their chance at a medal, but the whole town of Sarajevo was looking forward to having the Olympic flame light up Koševo Stadium again. 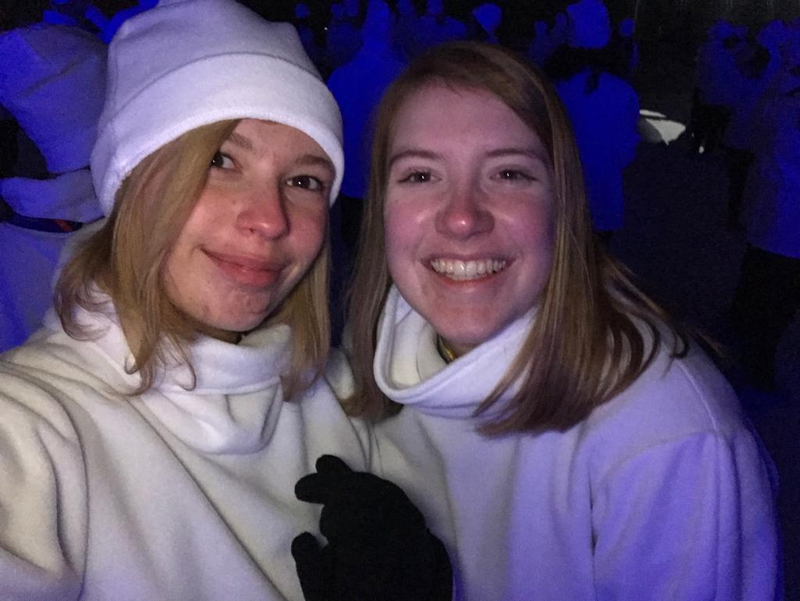 For a week in February, Sarajevo was the host of the winter competition of the European Youth Olympic Festival (EYOF), and I was fortunate to be a performer in the opening ceremony, dancing with about 300 other high school students from around the area. And more importantly, participating in EYOF thrust me head first into the deep history between the city of Sarajevo and the Winter Olympic Games it hosted 35 years ago. Sarajevans are immensely proud of 1984 Winter Olympics. Since my arrival in Sarajevo, I have frequently heard that the ‘84 Winter Games were best-organized Olympics anyone had ever seen at the time and continue to be greatest Winter Olympics ever held. There are small reminders of the Olympics all over the city, most notably, the Olympic Rings seen on the signs that welcome you to Sarajevo, marking the capital’s proud past to every car that ventures into the city. The mascot from ‘84, a friendly wolf named Vučko, is a celebrity here and even has his own restaurant. However, the intense pride found throughout Sarajevo is starkly contrasted against the current state of venues of the ‘84 Winter Olympics. Sights that once stood tall, striking a brutalist and competitive look, are now abandoned and often covered in graffiti. It is more than just disuse and neglect that has driven these concrete structures into their current condition. Just ten years after the Olympic spectacle, Sarajevo was caught in a deadly siege, the longest in modern warfare history, leaving to over 13,000 dead. As Sarajevo continues to rebuild from the devastation of the 1990s war, the Winter Olympics are nostalgic for many, as a time before the chaos and destruction of the war. The European Youth Olympic Festival may not have been as big of a name as the Winter Olympics, but Sarajevans were still excited to have that Olympic spirit back in town. Several days, even weeks, before the opening ceremony, just by turning on the TV, one could see news broadcasts about EYOF, hyping its impending events. Coca-Cola advertisements with the mascot of EYOF, Groodvy, littered billboards up and down the main road in town. The competition provides hope that Sarajevo, a city still rebuilding, will make a complete return to its former glory. 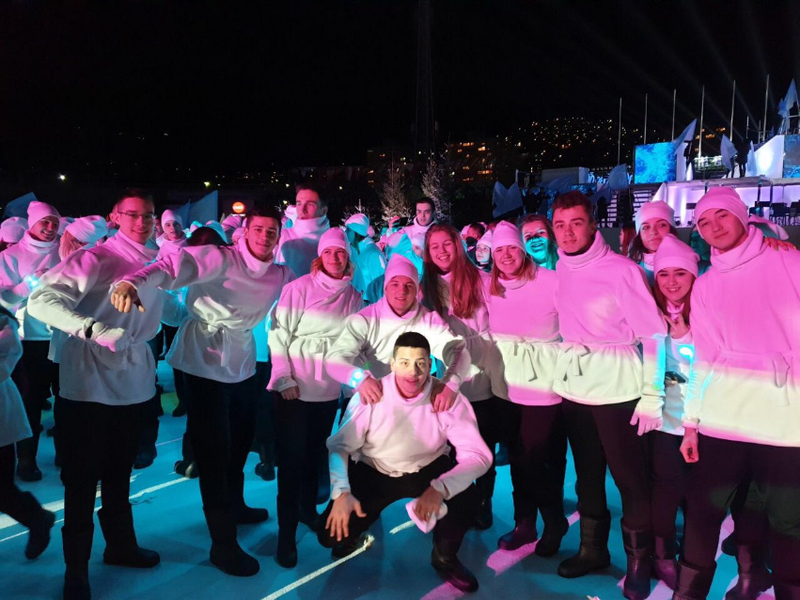 I enjoyed being part of Sarajevo’s preparations for EYOF, an event intertwined with the city’s unique and loaded history. I am thankful that I was able to have a front-row seat to such an extraordinary experience and learn more about the city in which I live.